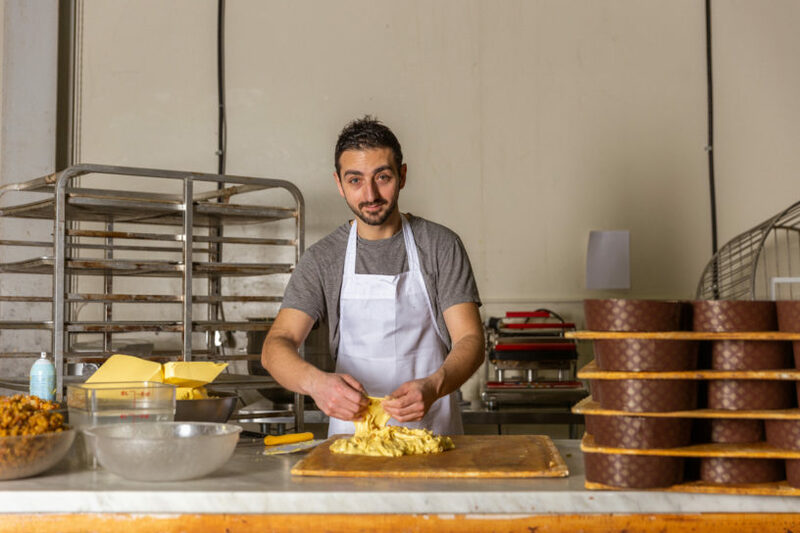 Pastry chef Emiddio Isernia of Antise in Vancouver. The ingredients for panettone: yeast starter, candied fruit, and butter. Isernia tests the elasticity of the dough. Once baked, Isernia preps the panettone for cooling. Panettone is susceptible to collapse and thus the ever-important method of hanging the loaves upside down on spikes where they cool for a minimum of 12 hours. The finished panettone await packaging. Put down that boxed panettone. You know the one: the trapezoidal box in red, white, and gold that crowds the display windows of Italian pastry shops and coffee shops from November to early January. Supermarkets too have taken to bedecking aisles with holiday displays of towering pyramids of the packaged stuff. Panettone is a traditional Italian Christmas bread dotted with raisins, candied orange peel, and cedro—the rind of Sicilian lemons. The majority of panettone is sold in cardboard and tastes pretty much like cardboard itself. In the world of baking, panettone is a perplexity. It has produced a precipice of untold awe, anxiety, and failure in many pastry chefs attempting it. Emiddio Isernia, new to Vancouver from his hometown of Naples, Italy, has not only scaled the formidable challenge but done so in rapid fashion. 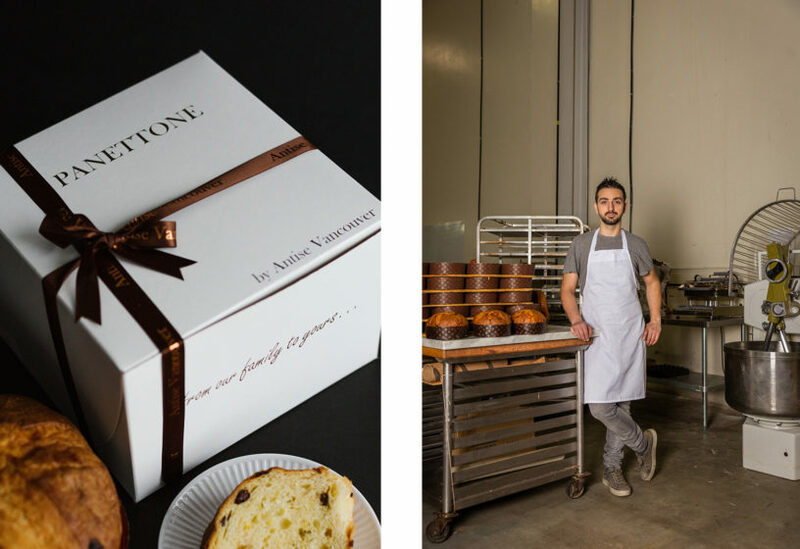 In the 18 months he has called Vancouver home, Isernia is making the best artisanal panettone in the country. This December, he expects to sell 3,500. 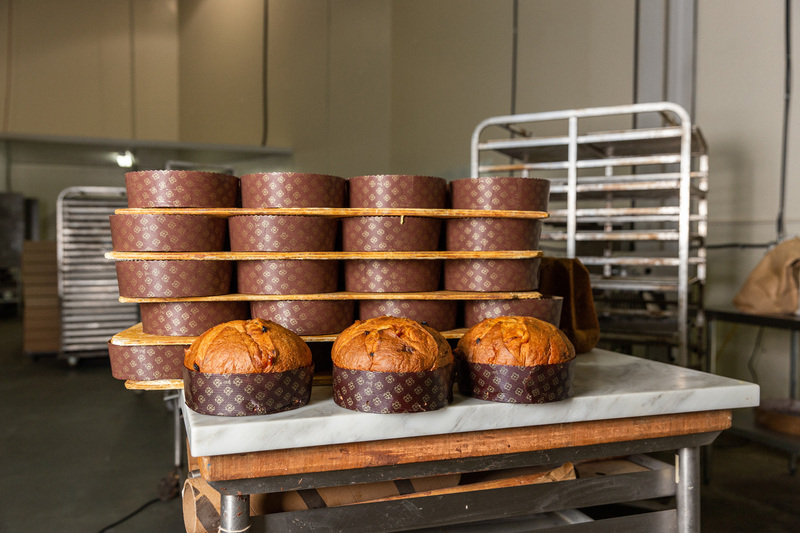 The baking of panettone dates back to the Middle Ages, but its origin is the stuff of legend. The name is believed to be a shortened form of pane di Tonio, from the story of a poor Milanese baker who invented the loaf as a dowry for his daughter after she fell in love with a nobleman. Others suggest Antonio worked for a court chef who, with no dessert to offer at Christmas, devised a bake with all the ingredients he had available. Panettone rose to prominence sometime during the late 18th to early-19th centuries, when, in keeping with Milan’s reputation as a moneyed enclave, pastry shops catered to the city’s affluent. 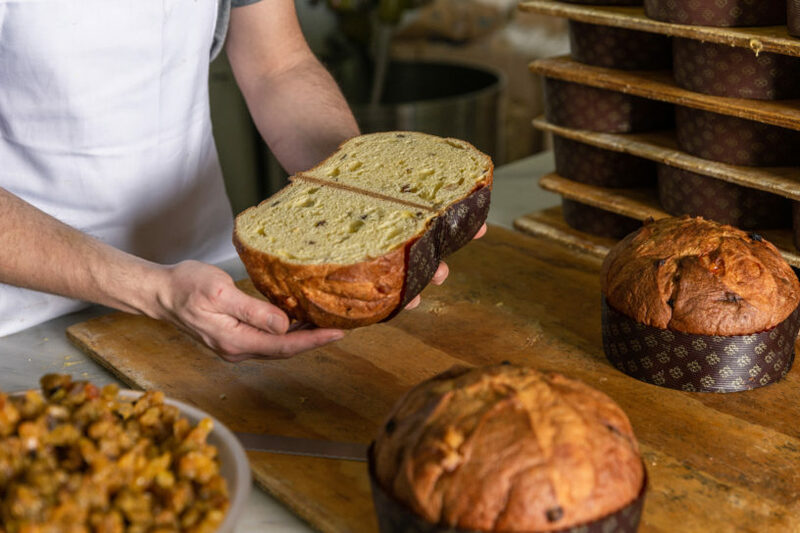 Even today, an artisanal panettone in Italy can cost around €50 ($70 Canadian). When Isernia arrived in Vancouver he was looking for a job. Small Victory, Vancouver’s Yaletown artisanal bread, pastry, and coffee noshery was looking for a pastry artist. 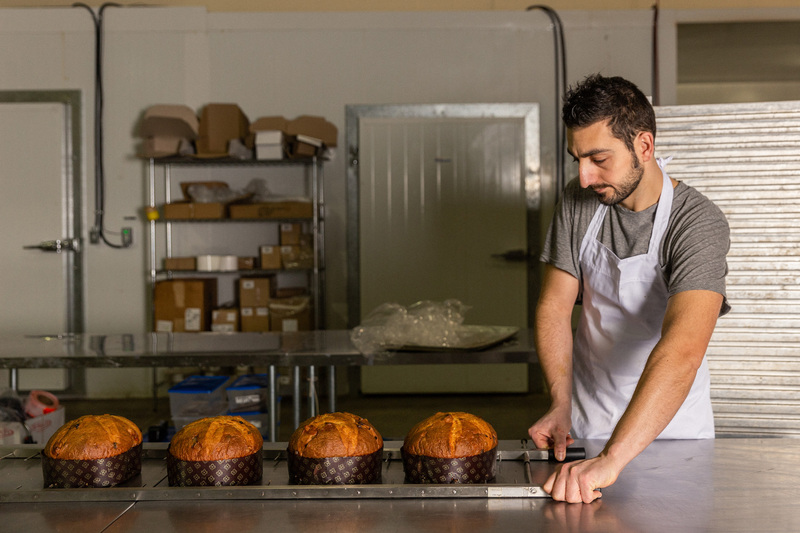 For his first holiday season (2015) in Canada, Isernia was making his panettone in-house at Small Victory but soon outgrew the space. 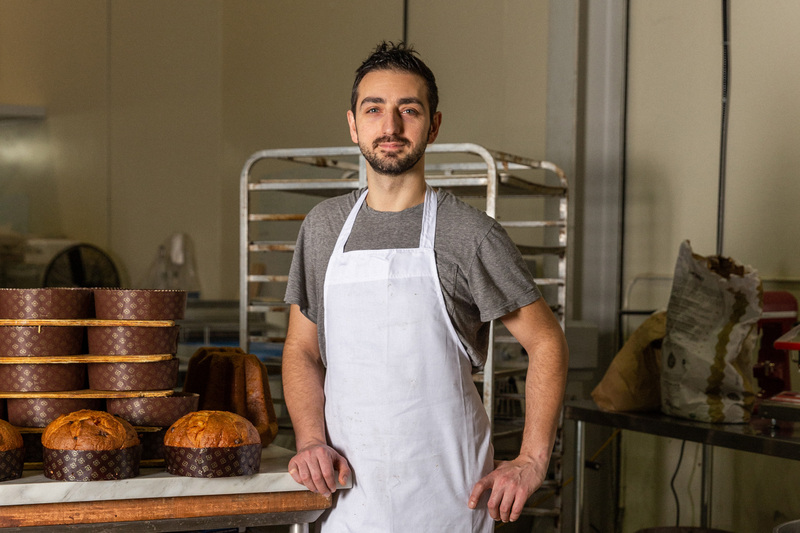 With demand in high gear, he partnered with Small Victory owner Karim Nathoo to form Antise, a pastry company from which Isernia makes his domed wonders. Isernia is giddy showing off his new mixer (another Italian import), a double-arm contraption that allows the dough to stay cool while mixing. “It is important the dough not get too hot as there is a lot of butter, and if it melts, it changes the consistency,” notes the 33-year-old dark-haired Italian. 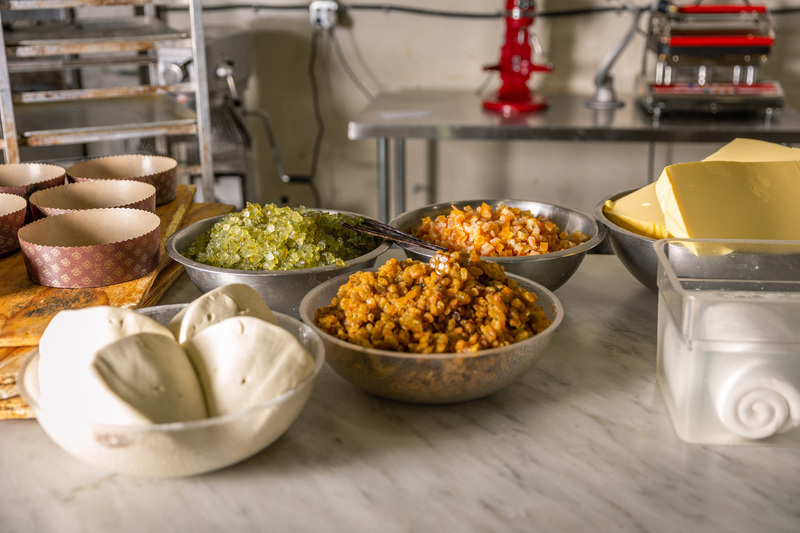 The dough goes from the mixer to a table, where it rests again, for roughly 30 minutes. 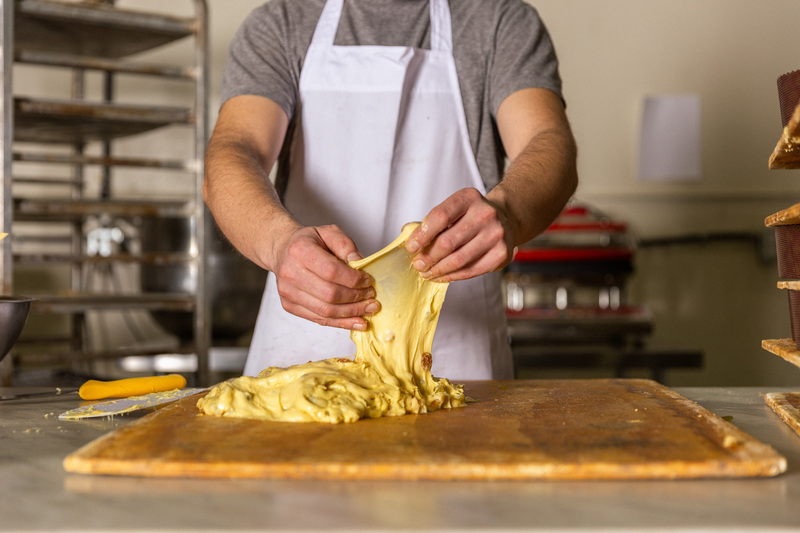 The dough is then divided into 750-gram portions and formed into loose rounds and placed in brown paper moulds ready for baking. 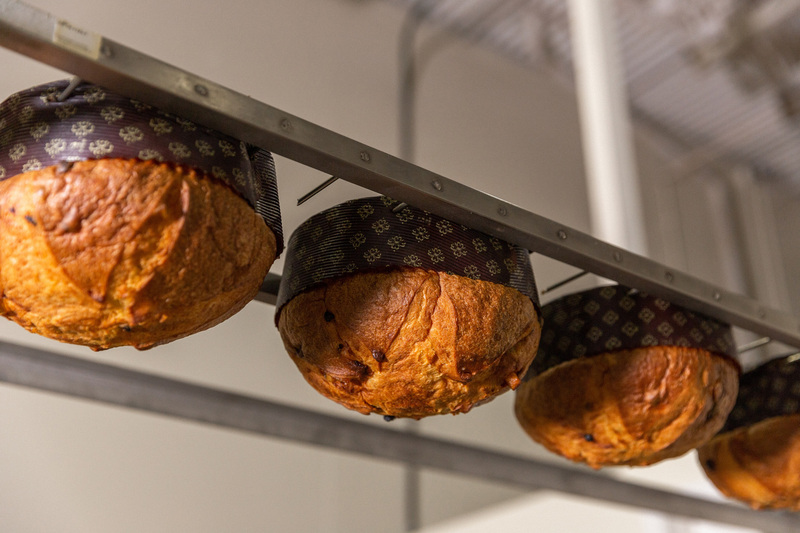 When the piping hot specialties come from the oven they are susceptible to collapse and thus the ever-important method of hanging the panettone loaves upside down on spikes where they cool for a minimum 12 hours. Giving panettone is not a simple act of kindness but a gesture rich in history and tradition. Giving Antise panettone is a gesture of history, tradition, and good taste. You can pick up Antise panettone until the end December at Dalina, Gourmet Warehouse, Urban Fare, and Whole Foods. Isernia makes the classico ($32 for a large loaf; $12 for a small) and chocolate ($33 and $12.50) and new this year is a limoncello ganache. This article was originally published December 2016.